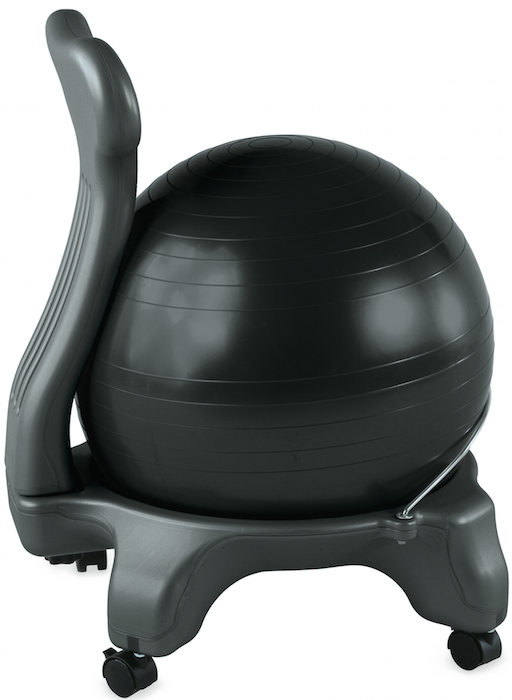 This lightweight Balanceball chair is an ergonomic desk chair and exercise tool designed for people between 5-feet and 5-feet 11-inches tall. It offers health and wellness benefits while we sit at home or in the office, and is a unique addition to our workout routine. This patented design chair helps relieve back pain and promotes proper spinal alignment, posture, a healthier back, and improves circulation, and overall well being. I find when I sit in this chair to work, it helps me keep my back straight. 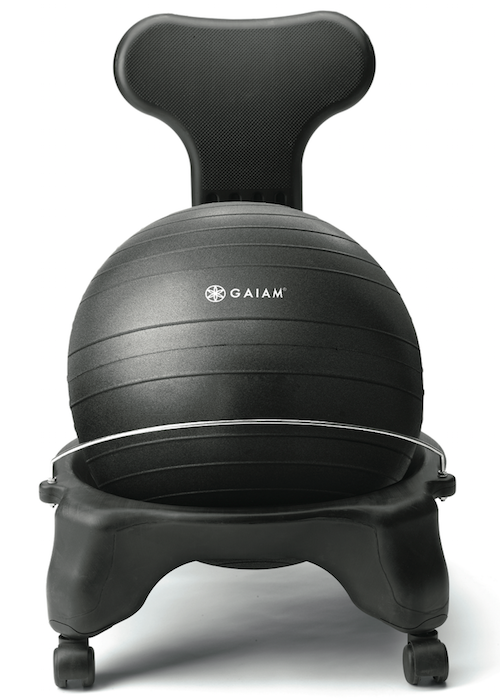 The 48-52cm BalanceBall can be removed and used to exercise on its own. The chair has a base with 2 locking back castors and 2 regular front castors. It comes with an air pump and can be pumped when needed easily. It also comes with a 16-page Desktop Exercise Guide and a BalanceBall for Weight Loss 55 Minutes DVD. Looks like we'd all have a ton of fun with this. I had to look at it twice and figured it out. It would keep me from sliding all over the place. This is a really good idea. I slouch when I'm sitting by the computer. this would be smarter and healthier for me. I've heard of the ball before but never seen it combined with a chair - amazing. I've never seen the base like that before! Great idea! I know how good the balance ball itself is, but not very stable for longer term use. This would be perfect!